Always a lover of any red lipstick shade, there is a new one to look forward to from Rimmel. Cosmetic brand Rimmel London has been named as an official Red Nose Day 2015 partner. This year Rimmel London’s limited edition lipstick designed and developed by Kate Moss has been renamed as Red Nose Red limited edition lipstick. The shade is a bright red with a hint of an orange hue. I can't wait to try this new colour out. 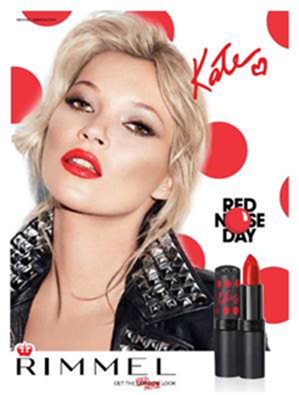 Rimmel London’s lipstick by Kate Moss in Red Nose Red will be available in Boots , Superdrug and grocery stores nationwide from today priced at £5.49 with £1.67 going to Comic Relief.